President Barack Obama spoke in front of an array of solar panels at Hill Air Force Base in Utah earlier today, announcing a new program "the Solar Ready Vets" aiming to employ veterans in the solar energy industry, which the base will participate in with other military installations nationwide. Obama met with top leaders of the Church of Jesus Christ of Latter-day Saints (LDS Church) in Salt Lake City yesterday to discuss the church's services in disaster relief and other humanitarian issues, and the need to overhaul the U.S. immigration system. Obama made his first visit to Utah after he traveled from Louisville, Kentucky earlier Thursday on April 2, 2015. That left South Dakota as the only state which he hasn't traveled to during his presidency. 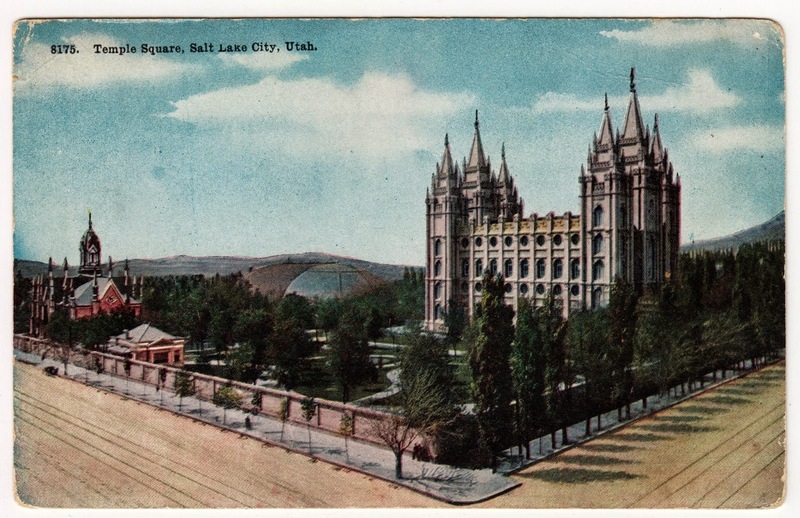 Postcard US-3135228 to Poland was a vintage card showing the Temple Square in the center of Salt Lake City, owned by The Church of Jesus Christ of Latter-day Saints. Built in 1853, it was designated as U.S. National Historic Landmark District in 1964, and was added to the National Register of Historic Places in 1966. Cherry Blossoms About to Reach Peak Bloom in D.C.
A Detour or a Scheduled Stop?